Farberware Nonstick Bakeware 3-Piece Cookie Pan Value Set Just $9.99! You are here: Home / Great Deals / Amazon Deals / Farberware Nonstick Bakeware 3-Piece Cookie Pan Value Set Just $9.99! Head over to Amazon and get the Farberware Nonstick Bakeware 3-Piece Cookie Pan Value Set for just $9.99 (reg. $30)! Shipping will be FREE with Amazon Prime or an order of $35 or more. 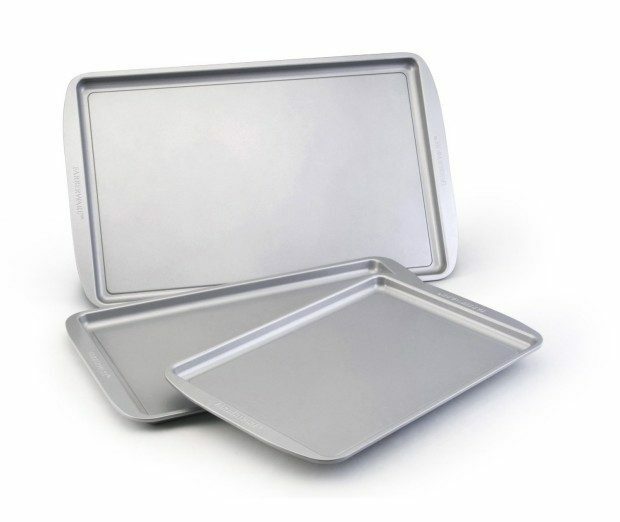 Quality nonstick bakeware that performs and cleans perfectly from the brand you know and trust. Inside/outside nonstick surfaces – food slides off and makes cleanup easy.